Learn from the BEST!! 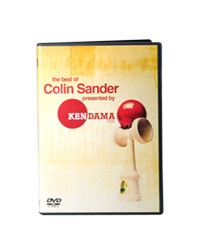 !\r\nThe Best of Colin Sander is the first Kendama DVD produced in the United States. This issue contains all of Colin’s classic Kendama Edits, including Edit 6 which is exclusively available on this DVD. Watch as Colin pushes the limits of what is possible with this Japanese skill toy. Many times noted as the best Kendama player in North America, Colin shares his advice, secrets, trick tips, and custom setups that he uses in his own training. Whether you just picked up your Kendama for the first time, or you are an advanced player, there is something here for everybody to learn.